At its heart, our statement of intent – ‘Building brands with purpose’ – expresses our desire to work with companies who are about more than simply making money. It reflects our priority to invest in brands that are looking in some way to benefit people or planet. 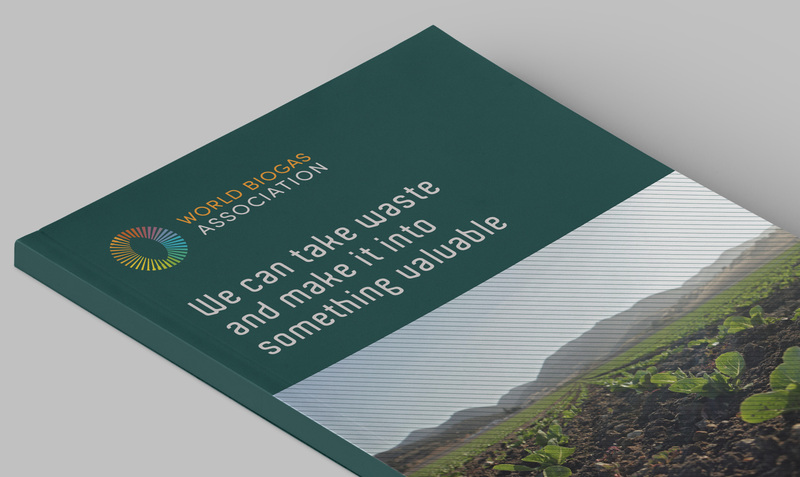 When the World Biogas Association (WBA) got in touch, we knew we’d struck gold. Here was a company clear about its mission – to benefit people and planet! Established in 2016, the challenge for WBA was that the look and feel for the brand had incorporated the worst aspects of the fledgling industry it represented. It had chosen a path that was, in their own words: “safe, boring and bland”. The visual identity for the brand was at risk of reinforcing negative perceptions of the industry – instead of reflecting the best of what Biogas has to offer the world. 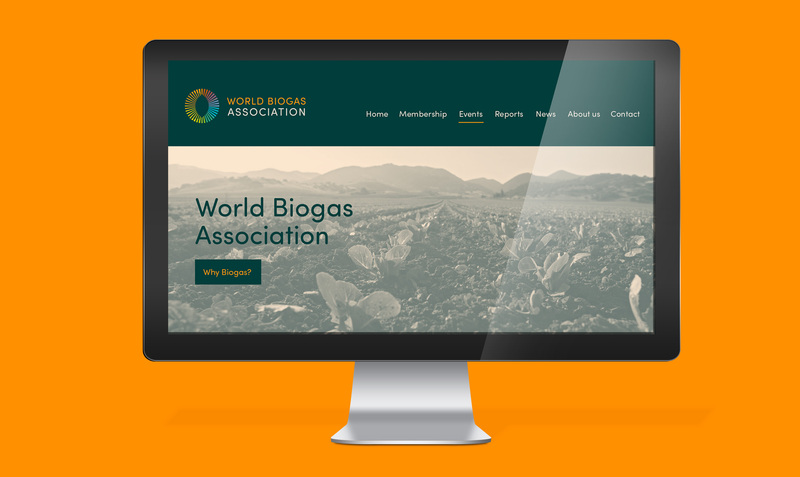 We spent time with the leaders of WBA, asking them about their vision for the organisation – and for what they believe the promise of Biogas is for the wider world. We wanted to ensure the refreshed brand captured the essence of the organisation itself, the diversity of its membership base, as well as the potential of renewable energy for our future. We knew we had to take the logo and colour palette of the brand in a totally new direction. 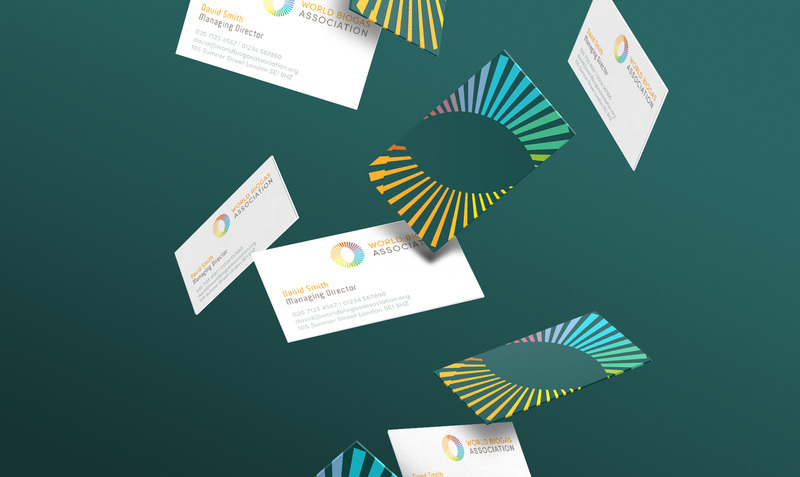 We quickly settled on a bright colour palette that felt positive and also reflected the diverse nature of the industry (and WBA members). Next we looked to create a simple marque that could be used within the logo itself to give it definition and ownability. We settled on the ‘moving pumps’ – a subtle nod to the process of anaerobic digestion but most importantly a means of creating energy and a sense of movement within the logo. The thin, uncomplicated typeface was chosen to convey a sense of professionalism without feeling too bold or corporate. Finally, we looked at moving the photography away from feeling very literal and process-focused (not particularly inspiring) to a photographic rationale that looked to incorporate more aspirational agriculture shots that conveyed more of the industry’s respect for nature and its ways. This included incorporating a gradient over the top of lead images, allowing the new identity a greater sense of ownership over the photography being used. 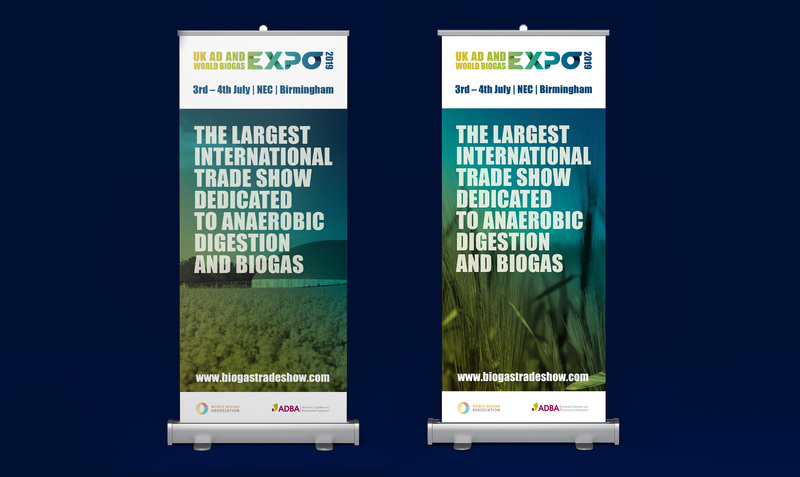 The refreshed brand was launched at the 2018 UK AD & World Biogas Expo – to much praise from members and the wider AD & Biogas community. “We gave ABA what I thought was an impossible list of points we wanted the brand to address. They quickly got to grips with our challenge and succeeded in creating a visual identity that captures everything we asked, and which we instantly loved. They’ve developed a brand that all of us at WBA are proud of – one that I know will serve us well into the future”. Off the back of this work we were asked to refresh the look and feel for the Expo brand – creating a new logo for next year’s event and starting down the road of revamping promotional materials that will help gather momentum ahead of July 2019.